Trainer Philip Hobbs has confirmed his intention to restart the promising career of Gumball with a run at Cheltenham's Showcase Meeting next weekend. The grey, who runs in the colours of Champion Hurdle-winning owner Terry Warner, will be reappearing in the Masterson Holdings Hurdle at Prestbury Park on Saturday week. It is never easy with four-year-olds going into this second season. Gumball recorded easy wins at Stratford and Chepstow last autumn having arrived at Hobbs' base in Minehead from France. In November he proved no match for Apple's Shakira around Cheltenham, finishing second, while he would be pulled up in the Triumph Hurdle at the Festival in March. An excellent second behind Nicky Henderson's We Have A Dream in the Grade One Doom Bar Anniversary 4-Y-O Juvenile Hurdle at Aintree's Grand National Festival in April was the standout effort of his term, while he signed off by winning a two-mile novice hurdle at Ludlow in late April. All in all, it constituted a promising first term over timber for Gumball and Hobbs, whose team are in good tune so far this season, is looking forward to building on that in the coming months. "Gumball had a very good time of it last season and ran some excellent races, particularly in the Grade One at Aintree," said the Minehead handler. "It is never easy with four-year-olds going into this second season, but we are aiming him at the Masterson Holdings Hurdle at Cheltenham at the end of October. Hopefully, he has another good season." Won recently by Dodging Bullets (2012), Tiger Roll (2014) and Sceau Royal (2016), the Masterson Holdings Hurdle is viewed as one of the more high-profile early season targets for four-year-old hurdlers. 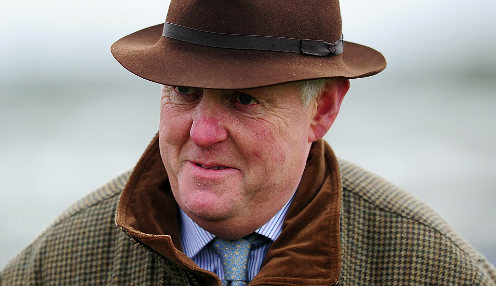 Gumball can be backed at 999/1 to return to Cheltenham next month and win the Greatwood Handicap Hurdle. Apple's Shakira is 999/1 to win that race for the Henderson yard, while Willie Mullins could aim 999/1 chance Sharjah at the prize.